Forgot to bring a book to read while you’re relaxing? No problem. 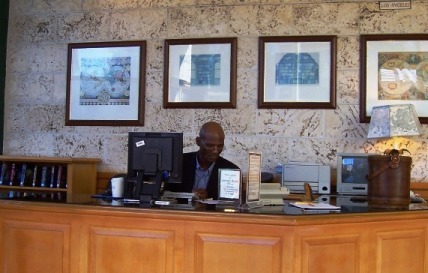 The Library at Atlantis houses a collection of popular novels as well as interesting non-fiction books that guests may borrow during their stay. 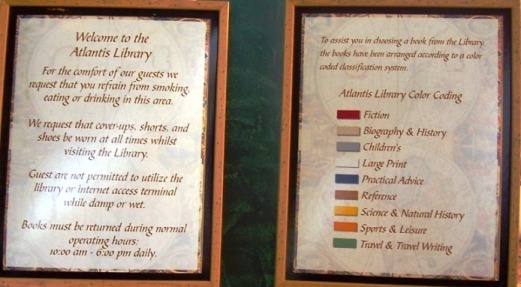 Guests at Atlantis may also sign up for free internet every day. The time limit is 15 minutes, and there’s usually a short wait, but it’s certainly more convenient for checking emails than lugging a laptop all the way to the Bahamas during your vacation! 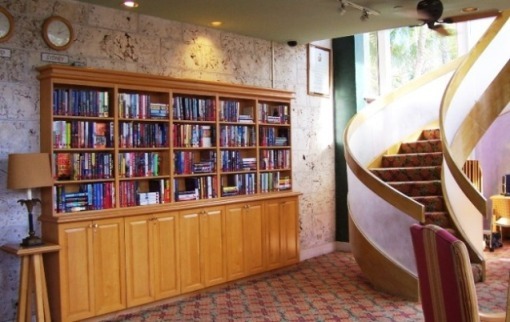 Guests can borrow books or spend time perusing the collection. To use the free internet for 15 minutes, simply sign up on the clipboard on the librarian’s desk. All you need is your name and room number. The librarian will call you when it’s your turn, so be sure to stay within earshot. Sign up on the clipboard on the right of the librarian’s desk to use the internet.